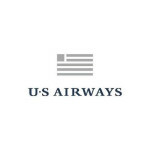 US Airways has once again announced a 100% Bonus Dividend Miles promotion for Dividend Miles members purchasing miles online between 1st and 31st August 2013. Favoured for its comparatively-generous avoidance of so-called ‘YQ’ fuel surcharges, Dividend Miles redemptions offer some of the best-value frequent flyer awards in the sky. As an example, a roundtrip Business Class flight on Star Alliance member airlines from Europe to North Asia (eg Hong Kong) costs 80,000 Dividend Miles (for other mileage requirements, click here). 1,000 Dividend Miles costs USD35 +7.5%, with the August promotion effectively halving the cost. So, the Business Class award will cost a pro-rata’d USD1505, or roughly GBP1020 (at 1st August 2013 credit card rates). To that figure must be added taxes, fees and charges, but judicious selection of airlines and routings, including potentially commencing journeys from outside the United Kingdom to avoid Air Passenger Duty, will minimise the extra costs. Dividend Miles redemptions are priced on a roundtrip basis only, with one stopover allowed in addition to the final destination. Dividend Miles members’ accounts must be at least 12 days’ old to qualify for mileage purchase privileges, and the maximum number of miles that can be bought in the promotion is 50,000 – with the 100% bonus on top. For full details, visit USAirways.com.